If you don't agree this is the most stable walker / shopping trolley available in the UK we will give you your money back!! 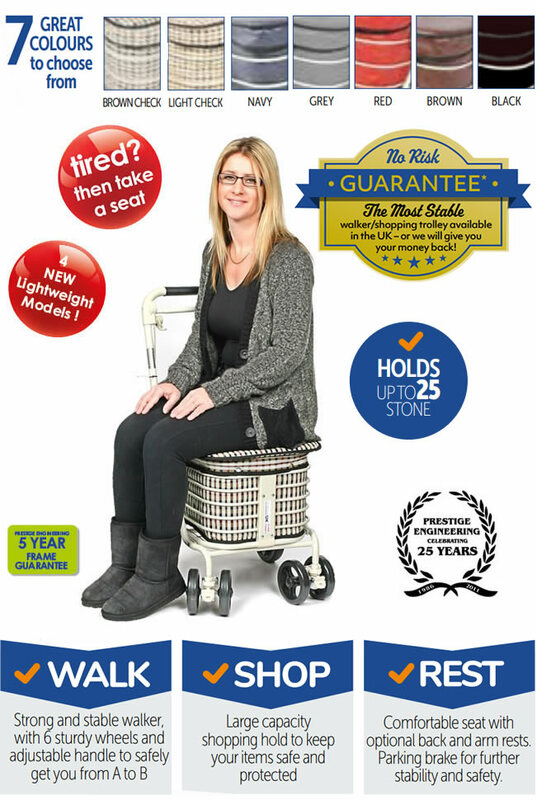 The only 6 wheel shopping trolley with a comfortable & stable seat!! 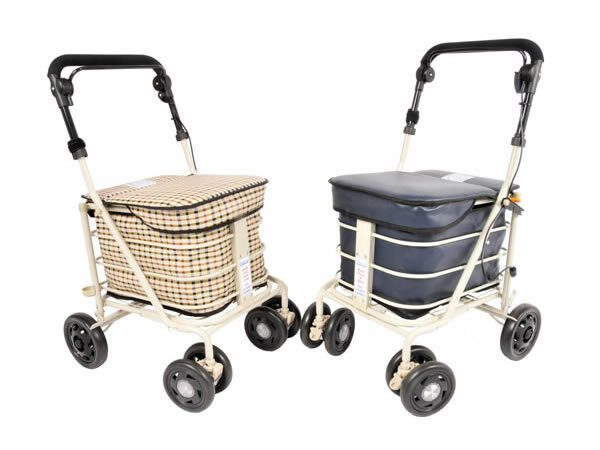 Walk, Rest & Shop with the Prestige Ultimate Shopping Trolley! At Prestige Engineering we have been making trolleys for over 25 years but this is the best and most stable shopping trolley yet. This has received some fantastic comments from our new customers. 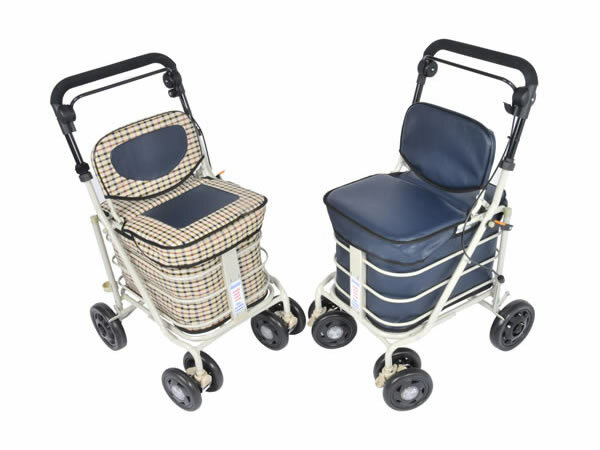 "Received my trolley just before my Occupational therapist was due to take me out with the rollator, she is now so impressed with the trolley that the rollator Is going back. I love it, and feel very secure using it. Thank you so much, worth every penny." 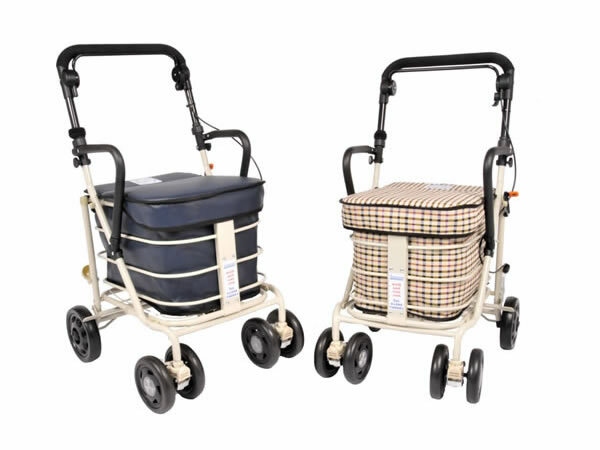 "Received my shopping trolley a few days ago, and absolutely delighted. 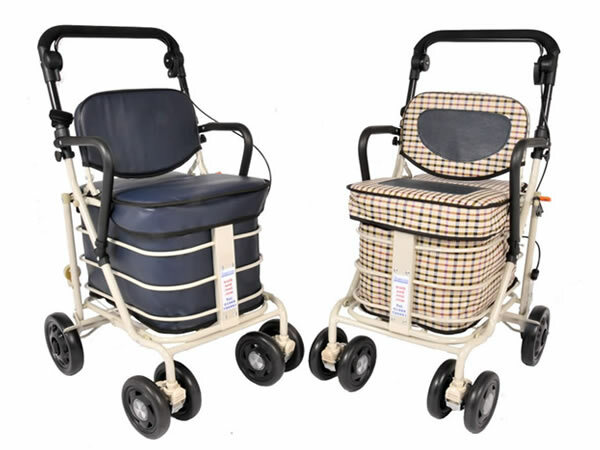 I am 87, and need a walking aid and to be able to sit and rest is marvellous. I am sure a lot of my elderly friends will be very interested. Thank you for a wonderful piece of equipment." "I have to say how wonderful I have found the shopper. I am on a committee that runs groups for the elderly every week. Many of these have admired your shopper walk and rest. Four in the group so far have bought them. No one had seen them before. A couple of ladies have brought them into the group once they came for me to adjust the height ect. Since getting mine in December I have photocopied your advert to hand out to people on the bus or round the town who stop and ask me where I got it. I do not get any pain walking with my shopper whereas I do without, which is brilliant . No pill popping while I am out plus I can walk further, Thanks"
"On the 6th of June at ten minutes to ten a large exciting parcel arrived. At this point I must say I was rather apprehensive as I had sent for a shopping trolley from another company that was not fit for purpose, from a another company that advertises and it was sent back. I need not have worried. When I unloaded I could not believe how beautiful it was completely stable and plenty of room for books and shopping. Perfect engineering and easy to fold up. Mentally I was jumping for joy. Physically I am not able to do that. Thank you again it's truly great." J Seamons. Norfolk. "Just want to thank you for your help in getting the Ultimate Shopper delivered direct to my mother's address whilst we were away. It arrived early the following morning and she is absolutely delighted with its sturdiness and roominess. My mother is 92 and does her own shopping every day and has already had many compliments on the style and look of the Ultimate Shopper from passers-by in the High Street. She says she feels so much more confident going out now and can lean on it without worrying whether or not it will hold her weight, as well as having a sit down when she feels tired. The fact that both the brakes are easily accessible and directed from one place gives her great confidence in using it. She was easily able to collapse the shopping trolley on her own and was amazed how neatly it folds away. Thank you very much." Lynne White. If you don't agree this is the most stable walker / shopping trolley available in the UK - we will give you your money back! !